THE MARTINI CHRONICLES: Divas' Holiday Wish List...A FitBit! Divas' Holiday Wish List...A FitBit! Here we go Divas...Day 11! Today's gift idea is perfect for several types of Divas. 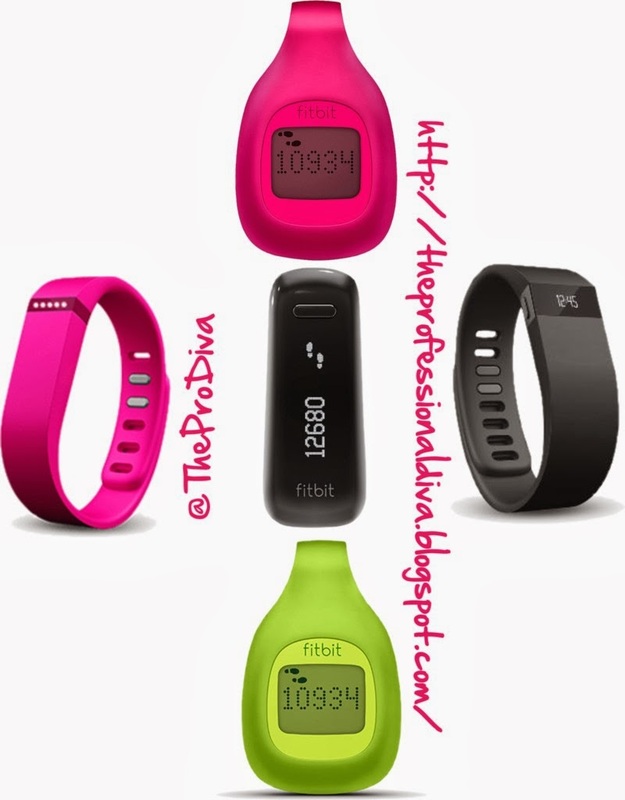 If you are a Diva who works in an environment where she is mostly sedentary, the FitBit is perfect for you! If you are a Diva who is looking to drop a few pounds, the FitBit is perfect for you, too! For those of you who don't know, the FitBit is sought of like a pedometer with super powers. It's a tiny, wireless device that you clip to your shirt, pants, belt buckle, bra, etc., and it tracks the amount of steps you take on a daily basis. Additionally, the FitBit tells you how many calories you burn, how many miles you walk, and how many flights of stairs you climb throughout the day. And if that wasn't enough, the FitBit also syncs to a free online program that permits you to log your food and activities, and track your weight. Wait...there's more! The Fitbit may also be used as a sleep tracker; it tracks when you fall asleep, and the amount of times you wake up throughout the night. It is a pretty neat feature for someone like me who generally has difficulty sleeping, and who may want to show the results to a sleep specialist. And for you competitive Divas, the FitBit program also allows you to connect with friends to challenge each other to walk and move more. For you Divas who work in an environment where she is mostly sedentary, the FitBit can motivate you to get up and walk around more throughout the day. For you Divas looking to drop a few pounds, the free online program allows you to keep track of your calories in and your calories out. Such a simple tool, but such a great gift! Who's game?! If you're looking to score a FitBit, go to Fitbit.com, or try Brookstone, Target, Walmart, or Best Buy. What do you think of a FitBit for a gift?